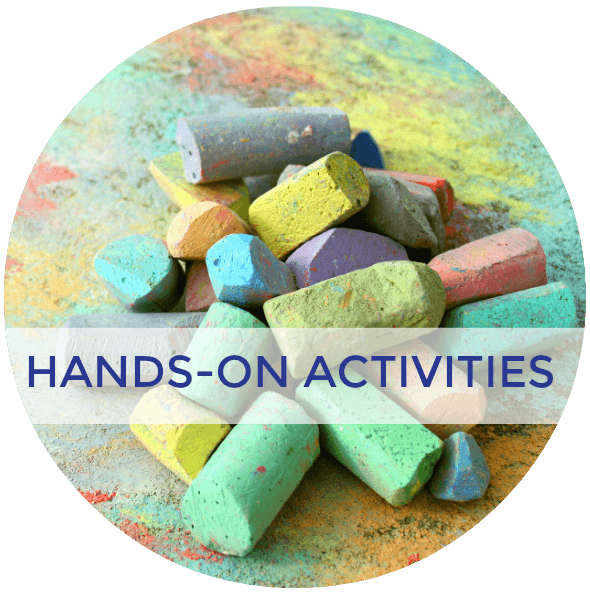 Over the next 6 weeks, we are going to be taking a look at some pre-writing activities for kids. 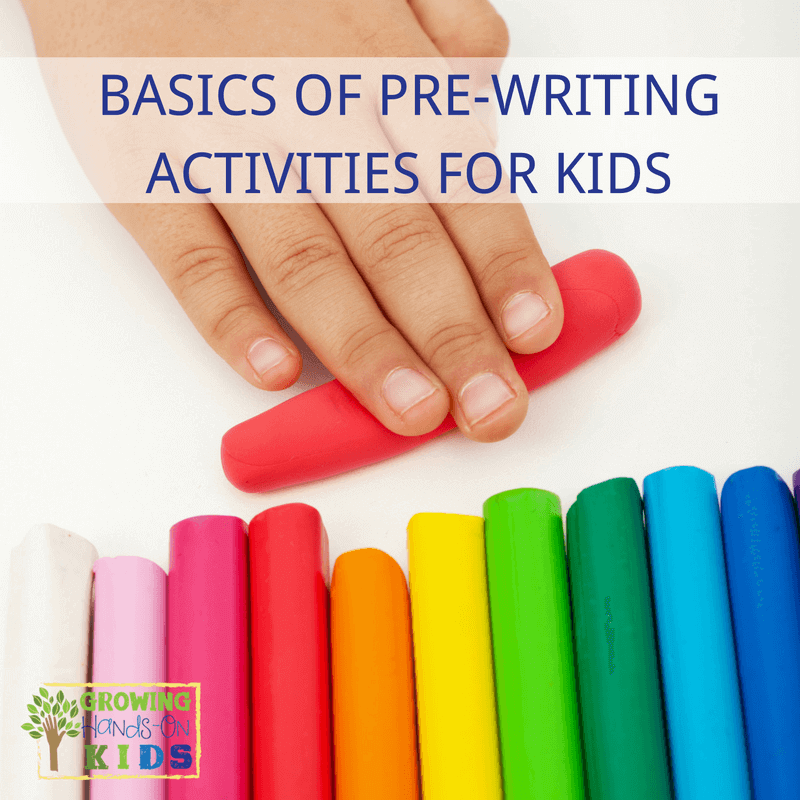 Pre-writing activities for kids are a great way for them to be introduced into the world of writing at a young age with something that is age appropriate and also not “school” work. 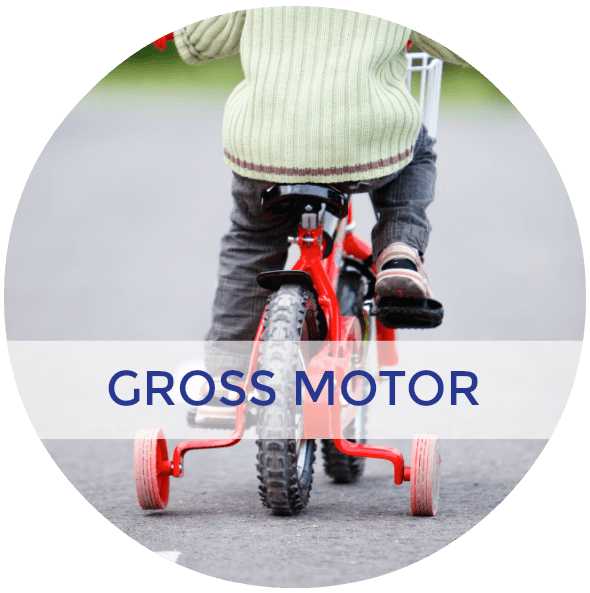 Preschoolers were designed to explore the world around them through movement. 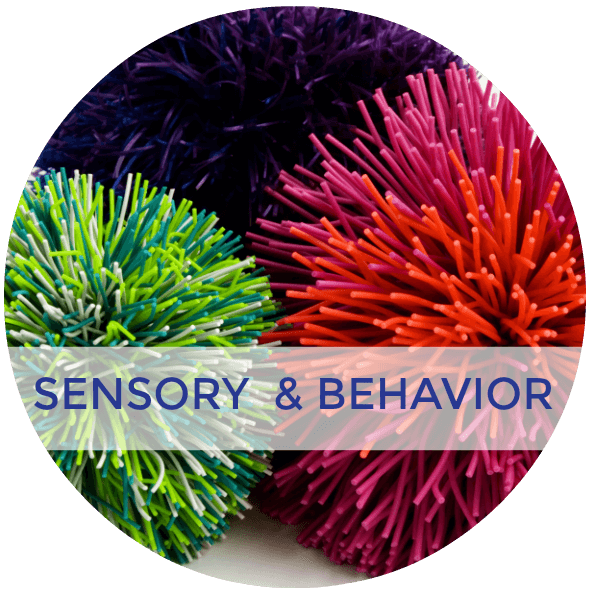 I love giving my daughter sensory items to explore with. It is amazing how concentrated she becomes in that activity, often times playing with it independently for up to half an hour at a time. 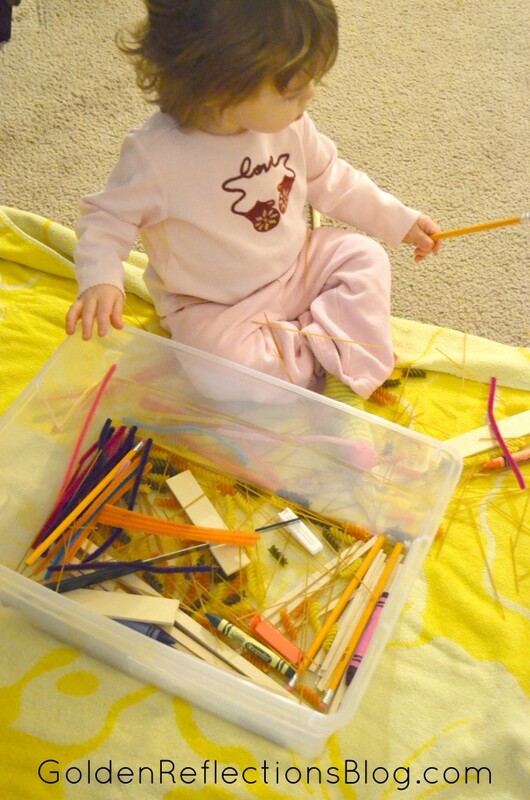 This straight lines sensory bin was a huge hit with her. 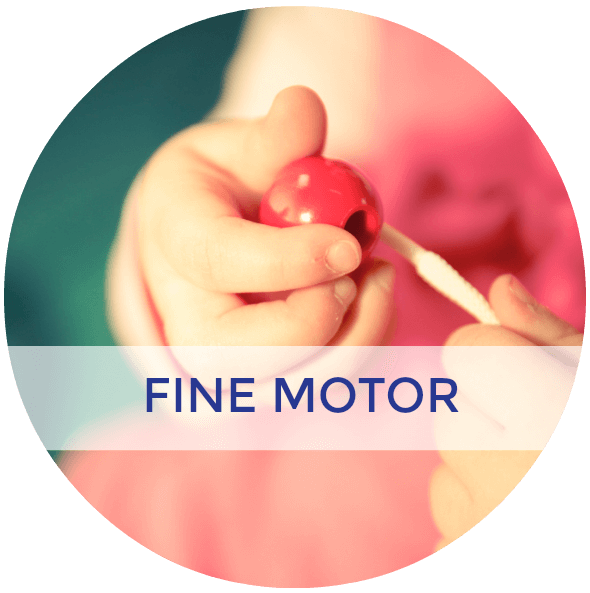 Writing skills begin at an even earlier age than when your child first picks up a crayon. 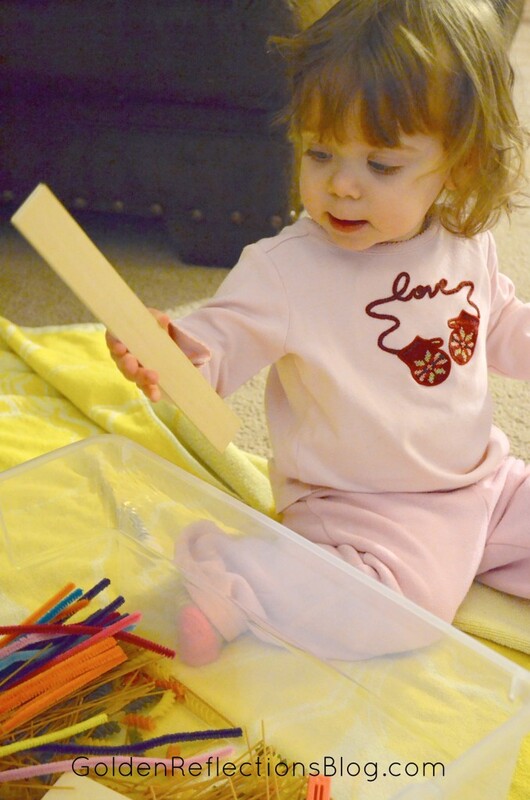 Pencil grasp development starts at just a few months old when your child begins to grasp for objects! 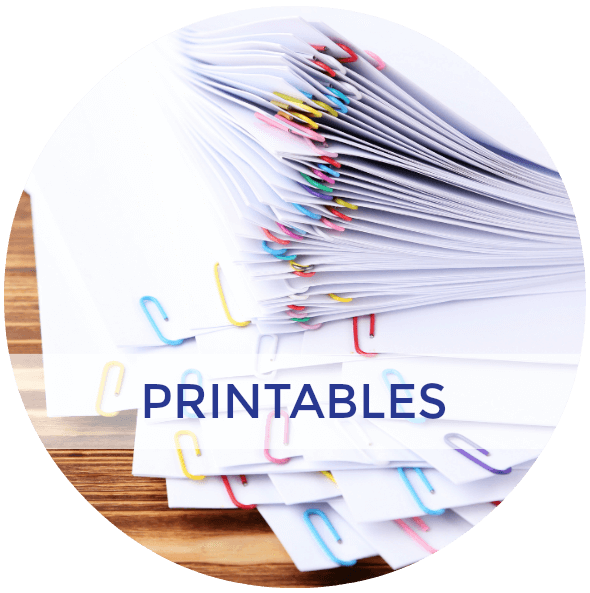 Even before learning the alphabet, your child is building the foundations for writing and printing with good letter formations etc. All of these shapes and lines are the building blocks for forming letters! I first realized that my daughter was interested in shapes when we got this book: PLAY-DOH: Making Shapes with Monkey . Within a few times of reading this book, she was pointing to the circle shapes consistently when I would ask her to show me a circle. I immediately began finding circle shapes and other things from around the house to show her. I even showed her how to make circular motions on paper, which isn't age-appropriate for her yet, but I figured exposure could not hurt at this point. So that is how this series was born. 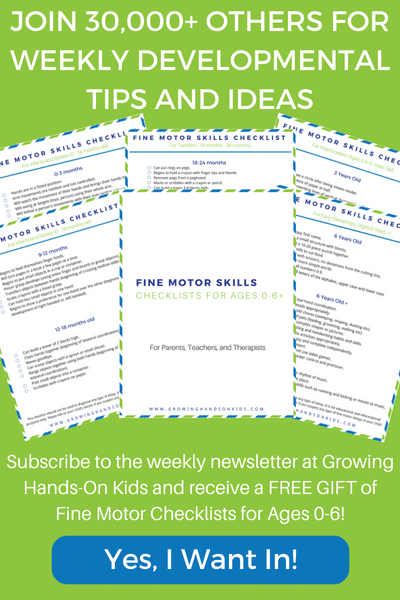 Over the next 6 weeks, we will be taking a look at some of the pre-writing lines I mentioned above and I will be sharing a hands-on activity you can set up for your kids in order for them to explore this line or shape. 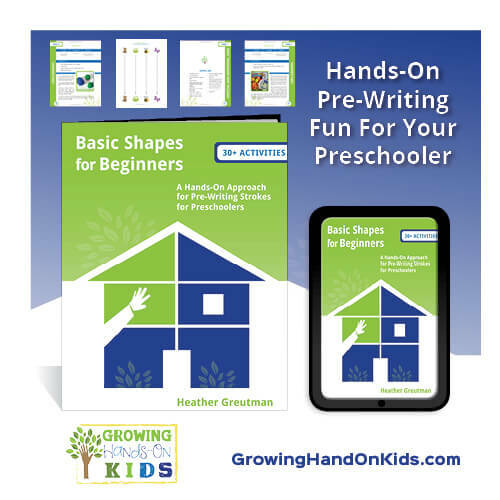 This is all leading up to my new book Basic Shapes for Beginners – A Hands-On Approach to Pre-writing Strokes for Preschoolers. And since straight lines or vertical/horizontal lines are first in the developmental sequence, we are starting there. I put a large beach towel on the floor and then just let E explore and play. She sat and played with this for at least half an hour! Of course, most of the contents ended up on the beach towel or the floor, but it was easy to pick up when she was done! As she was playing I would talk to her about straight lines, showing her big ones, little ones, and then also point out colors. 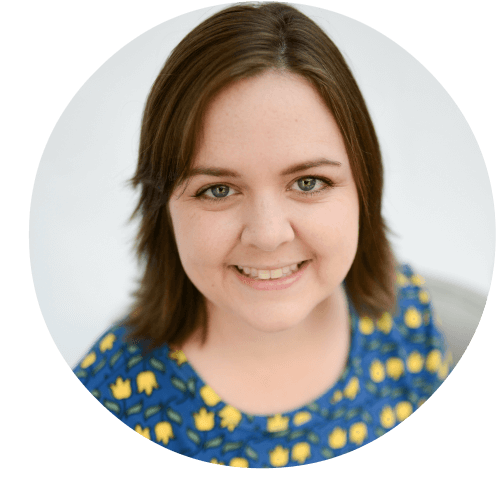 For older kids, you can also talk about how our letters always start from the top and what letters use lines. 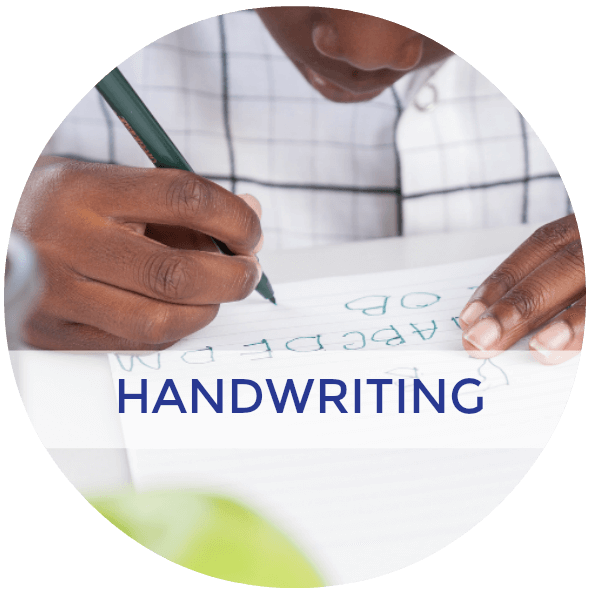 When they are done playing you could have them practice writing some letters with straight lines if that is age appropriate for them (ages 5+). 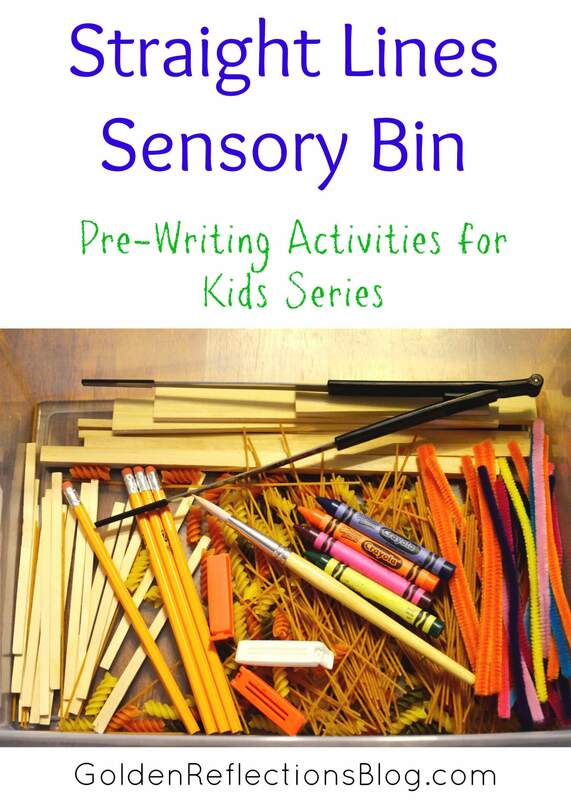 This is a great way to expose your child to pre-writing in a fun and different way! 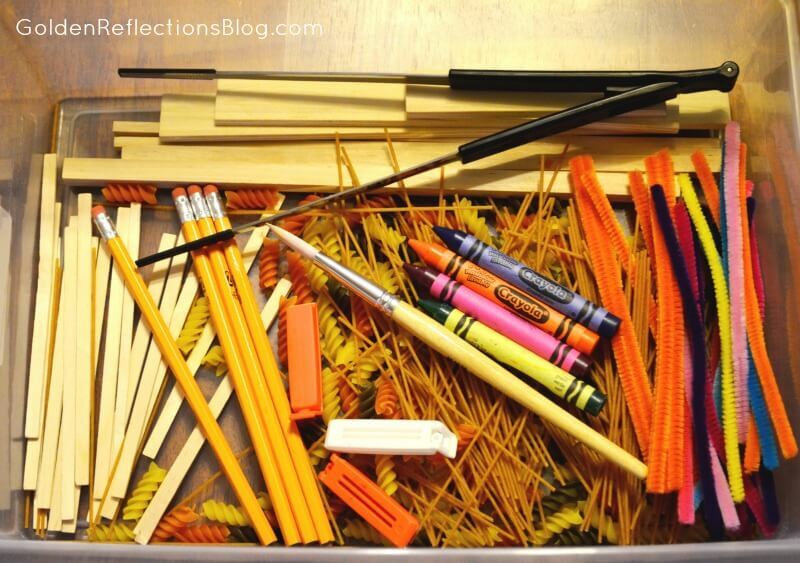 It's great for fine motor too if you include tongs or tweezers for them to pick up items with. 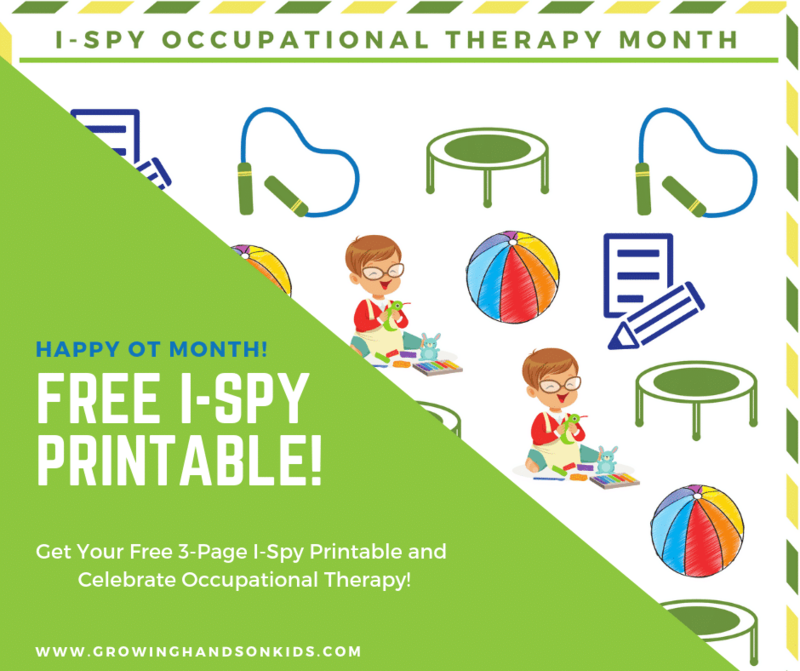 For more ideas like this one, check out the resources below.